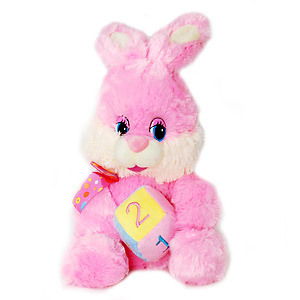 Make your loved one in India play ball with this cute, adorable, little Bunny. Dressed in Blue fur, this 8 inches Bunny is standing ready to throw the ball to whoever wants to play with him. The Bunny is so charming that you cannot just miss it. Please Note : The color of the bunny will be yellow. Free Shipping to India : Ships Within 3-4 Working Days.